You may be familiar with the Cadillac Eldorado, but you may not be familiar with its origins. 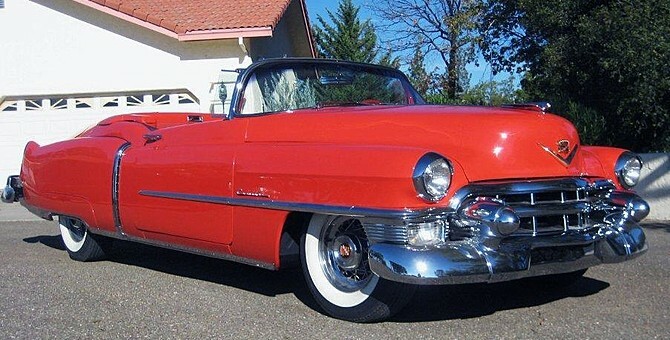 When it came out in 1953, it was a custom-built Cadillac like no other. In addition to the usual 1953 Cadillac updates, the Eldorado featured a wraparound windshield, a lowered beltline, wire wheels, and a long list of standard equipment. The Eldorado was only available as a convertible and cost nearly twice as much as the standard Cadillac Series 62 convertible at $7,750. General Motors had two other quasi-custom vehicles for 1953: the Buick Skylark and the Oldsmobile Fiesta. Those two were the equal to the Eldorado in many ways but, quite simply, they weren’t Cadillacs. For the epitome of style and wealth from the early-1950s, it doesn’t get better than the 1953 Cadillac Eldorado − expect this one to hit six figures.